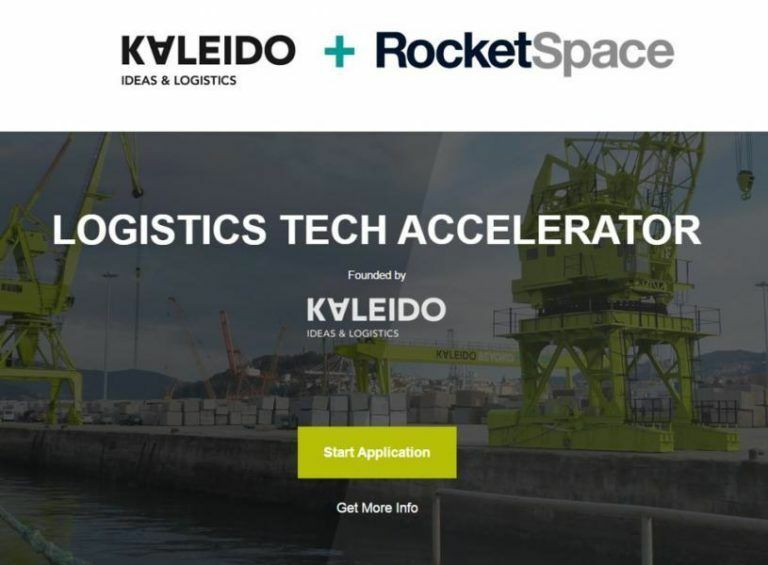 Kaleido together with RocketSpace launches the first acceleration programme for startups in logistics, named “Logistics Tech Accelerator”. This initiative will connect logistical challenges of companies with tech and disruptive Startups. Its purpose is to promote industrial innovation in the sector as well as combine Kaleido tech approach and its Open Innovation Ecosystem with the startups environment knowledge of RocketSpace. “Logistics Tech Accelerator” is part of the Open Innovation Ecosystem that Kaleido drives, its main objective is to identify and put together the expertise and knowledge of various companies, organizations and the best startups, assuming together the challenge of rethinking logistics. Since 2008, Kaleido has maintained on building its innovative history, applying technology on its activity always aiming for logistics efficiency. They have continued developing other products and services, which add to its portfolio. The unique approach to business allows them to offer tailored solutions, the most relevant milestone being the recent achievement of its Open Innovation Ecosystem. This four-month programme challenges the startups to accelerate their projects in order to achieve scalable and measurable results. In addition, it will provide acceleration, piloting, and plunge in the real market, training, relationships and funding rounds. Those startups interested in participate can apply or find more information here.